Scott says an AP reporter described his comments incorrectly. (Bloomberg Politics) — Florida Gov. 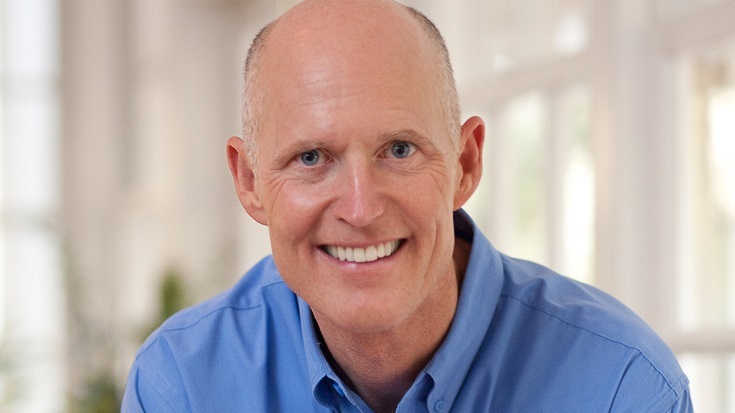 Rick Scott’s on-again, off-again relationship with the Patient Protection and Affordable Care Act (PPACA) Medicaid expansion program made waves Friday when an Associated Press report that he had “conceded” that his 2013 support for the expansion was a “ruse” went viral. In 2013 “the Republican governor said [his mother’s] death had changed his perspective and he could no longer ‘in good conscience’ oppose expanding health care coverage to nearly 1 million Floridians,” the AP reported, referring to his February speech, following the death of his mother, in support of the expansion. See also: Is Medicaid expansion PPACA blood money? Paul Colford, the director of AP Media Relations, declined to say whether the exchange referenced by Scott’s team was the basis for the article, or respond to Scott’s statement. “We are standing by our reporting,” he said.